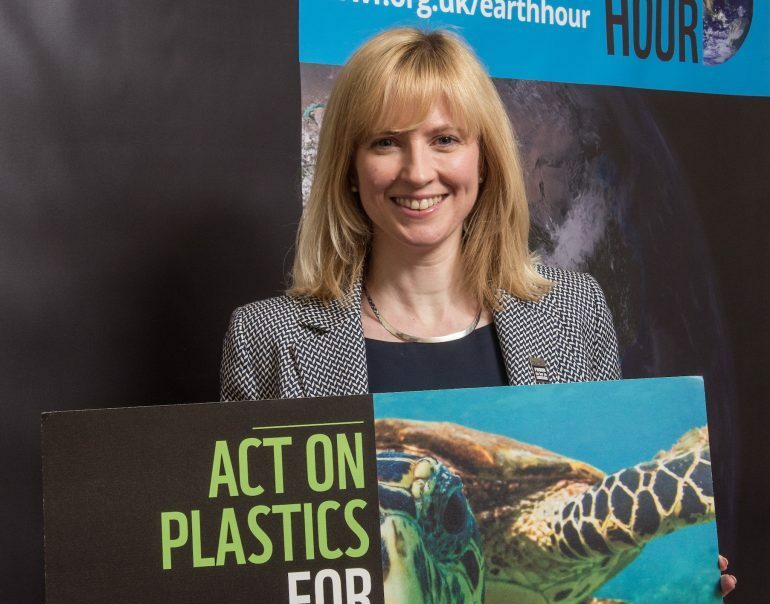 Canterbury MP, Rosie Duffield, has pledged to make the planet her priority ahead of WWF’s Earth Hour, the world’s largest event to protect the planet. Taking place at 8:30-9:30pm on Saturday 24 March, the event is the world’s largest show of support for our planet. Lights around the world will go out for the hour, from the Taj Mahal to Buckingham Palace, as well as hundreds of millions of people around the world. In the UK alone, more than eight million people and 300 landmarks, including The Shard, Edinburgh Castle and Carnaby Street, are expected to participate. This year WWF’s Earth Hour is also calling on people to make a #PromiseForThePlanet – a simple lifestyle change that combined with thousands of other pledges can make a big difference. The promises include refusing plastic cutlery, switching to a green energy provider and reducing the amount of meat you eat by becoming a flexitarian. “Much of the wildlife we love is being seriously threatened by the pressures we put on our planet, including the effects of climate change, pollution, deforestation and generally living beyond the Earth’s means.